Matcha is a powdered form of Japanese green tea. The millstone gently and slowly grinds the leaves into powder. Matcha has been drunk in Japan for over 800 years. Originally, it was brought from China as a medicine. 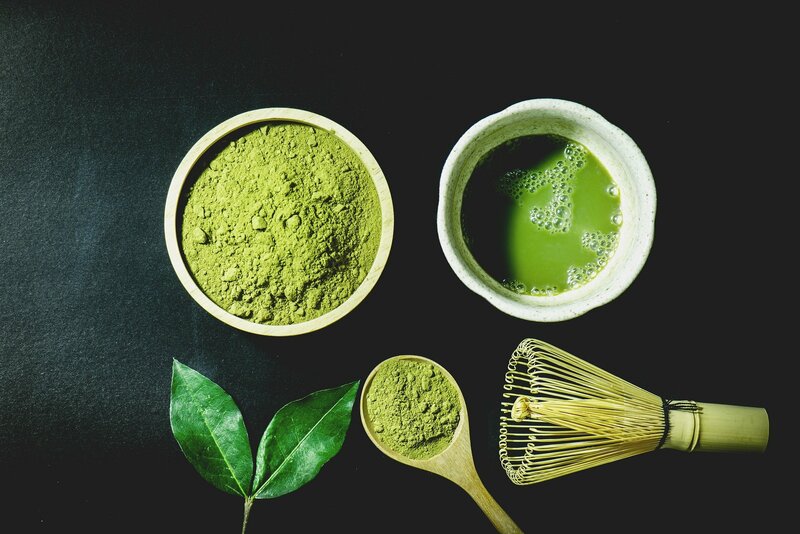 Over time, matcha became a beverage of the samurai age and an important part of the tea ceremony. High-quality tea was considered so valuable that special processions were organized to deliver it to Edo, the capital of the Shoguns. Japanese tea comes from the same tea bush as Indian and Chinese tea. The difference is in the processing. In Japanese tea, freshly picked buds are steamed to prevent the fermentation process, which results is a whole range of different flavors and aromas. 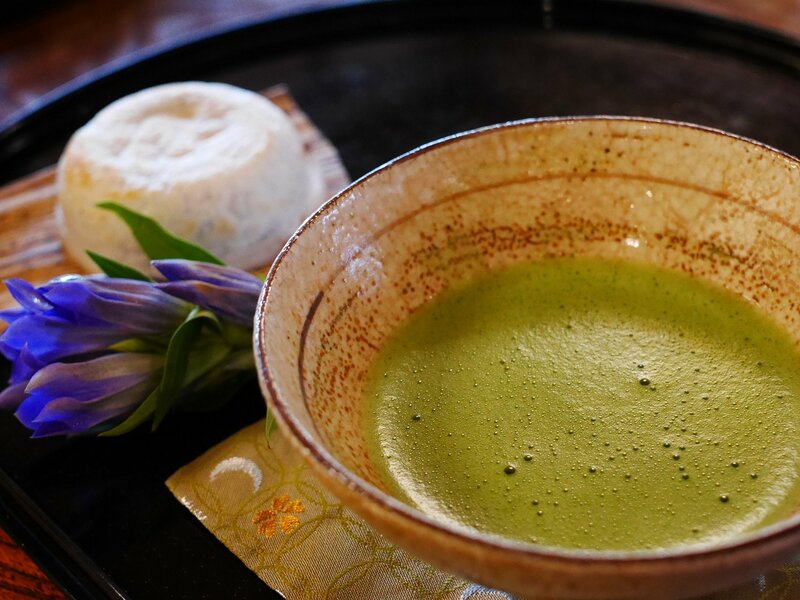 The Japanese people drink a lot of tea, different kinds of it and in different situations, but in the traditional tea ceremony called Chanoyu, only matcha is used. The deep taste of matcha is a results of specific processing techniques. While other forms of Japanese tea are made from dried leaves, matcha is made by grinding green tea leaves into powder. The grinding tool is also important. Despite modern devices, the production of top quality matcha still uses large millstones, which have a constant temperature of milling. The way tea is served is very different. To prepare, for example, sencha, hot water is poured over the leaves in a teapot. However, during the tea ceremony, powdered matcha is mixed with the water in the bowl from which it is drunk. To prepare a matcha, we need a special whisk for tea. Matcha is placed in a dish, then hot water is added using a bamboo spoon, and everything is mixed. You need to be sure that the powder is evenly dissolved so that no lumps remain. After proper mixing with water, matcha is ready to drink. Matcha is always served with wagashi, traditional Japanese sweet. Their sweetness goes very well with the taste of tea. The places where matcha grows are hot during the day, but cold at night, ideal for growing tea with a rich aroma. On tea plantations, bushes are covered with special screens that cut off 80% of sunlight. This takes place in April, because then new leaves appear. Reducing the amount of light leads to the formation of leaves with greater depth of taste. A few weeks later, the straw is spread on the screens, which reduces the amount of light underneath to 5%. If the tea leaves were constantly exposed to sunlight, it would cause a drop in the level of tannin, one of the chemical components of tea. Cutting off sunlight during cultivation prevents the transformation of tannins into catechins that give the tea bitterness. The tea collection starts in May, each leaf is carefully picked by hand. Matcha is almost always made from the youngest leaves. Freshly collected leaves are immediately taken to processing facilities and then steamed to prevent fermentation. The next step is to grind tea. Tea leaves collected in May are stored in a special ceramic jar until autumn. It takes them about 6 months to mature fully. 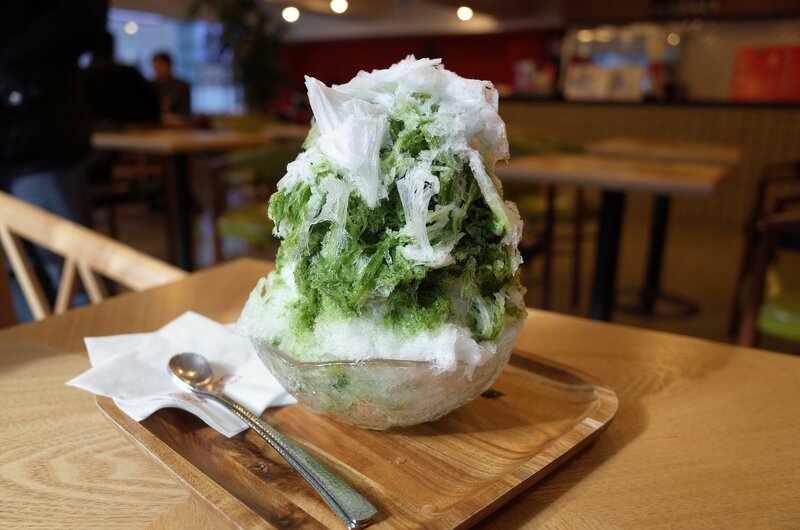 And this is kakigori, traditional Japanese ice cream. The ice block is grind to create a fluffy, delicate consistency. Then it is topped with a different syrups, also with a matcha flavor. 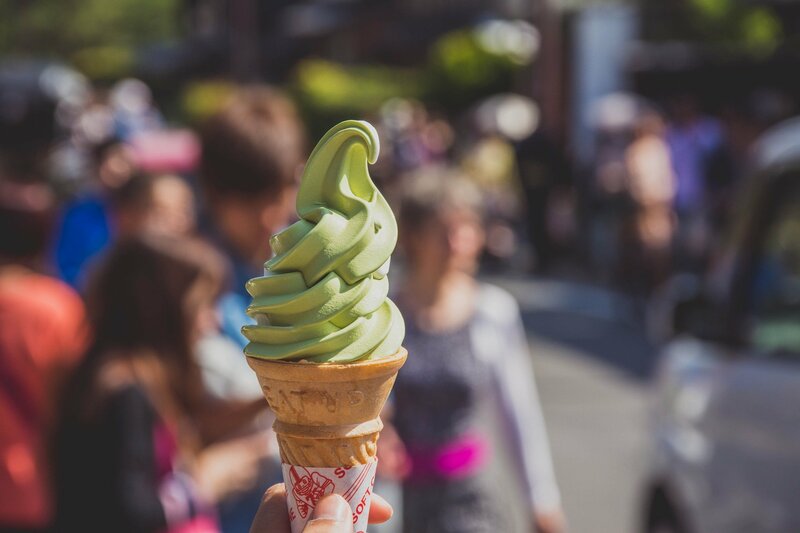 Matcha Ice-cream from milk are also available, as many others different products.